This exhibition will take you on a journey through two thousand years of fascination with ancient Egypt, the land of the pharaohs. Visitors will enter through a reproduction of the Egyptianizing gateway that is the entrance to New Haven’s Grove Street Cemetery (designed by Henry Austin in 1839), and then discover how a culture that flourished thousands of years ago has impacted our own world. Echoes of ancient Egypt appear in art, architecture, and literature around the world from ancient Africa to medieval Europe and the Middle East, to modern North America. 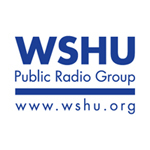 Connecticut Humanities, and our Media Sponsor, WSHU Public Radio Group.